Let Phare artists bring their unique style and energy to make your welcome reception, meeting, gala dinner or temple dinner extraordinary. 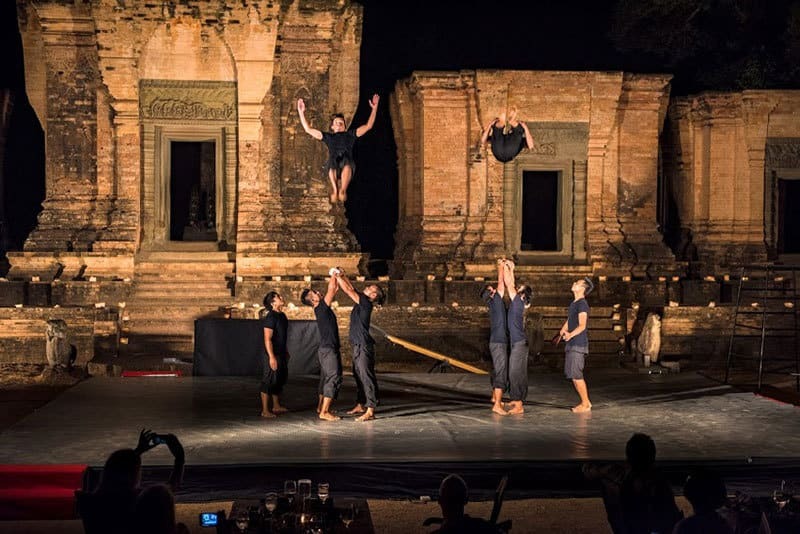 Phare, The Cambodian Circus provides entertainment at venues throughout Siem Reap, across Cambodia and even overseas for groups large and small. Train with the Stars on Your Tour of Siem Reap Circus Workshop. Unique activities suitable for any age, customized for groups of all sizes. The ultimate in exclusive dining experiences are temple dinners inside the World Heritage Site – Angkor Archeological Park. Phare artists can put the exclamation mark on a magical evening. Pictured here, Phare artists perform at Prasat Kravan for Acura. Temple dinner by Amansara. Photo by John McDermott. Product launches, welcome receptions, gala dinners….. Phare artists customize performances to suit any situation. 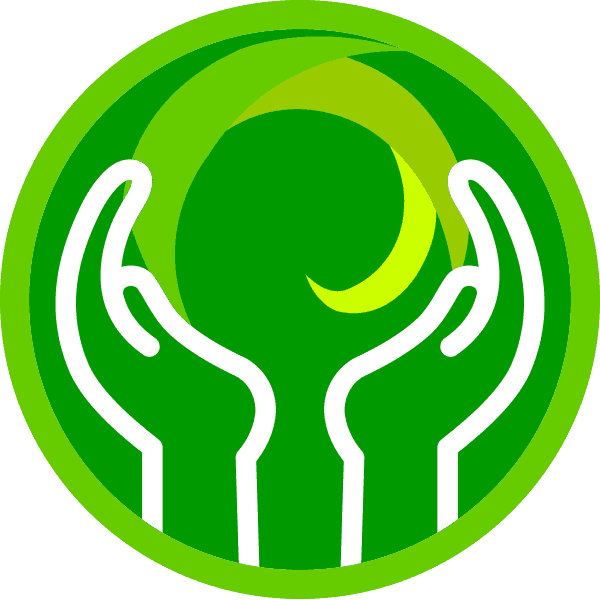 Companies such as Acura, Symantec, MasterCard, Prudential, Citibank, Allianz and others have trusted Phare to energize their audiences. Phare artists have taken their unique style and energy on the road, to hotels and resorts around Siem Reap and Cambodia. 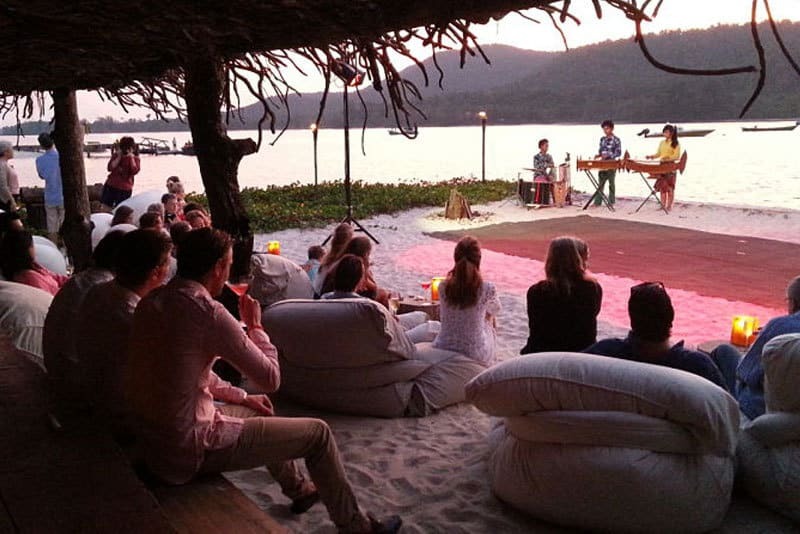 Pictured here, Phare artists entertain on Christmas Eve at Song Saa Private Island Resort. 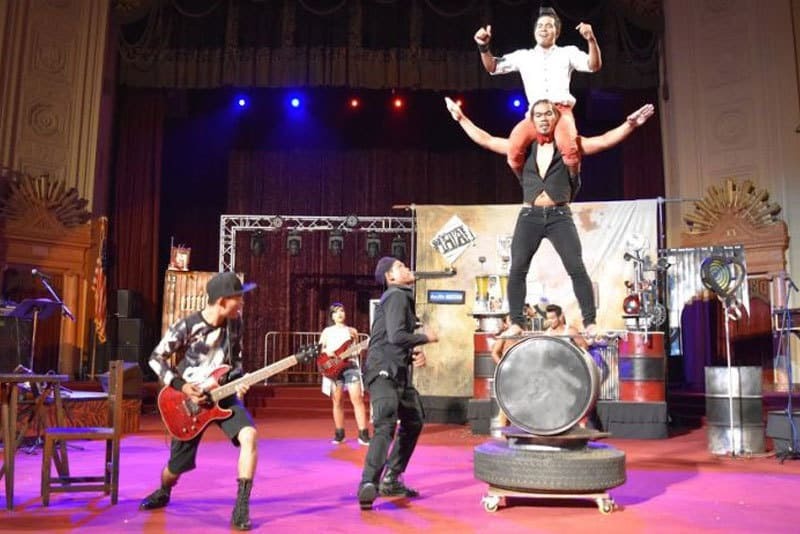 The same incredible musicians who accompany each performance at Phare, The Cambodian Circus have combined their talent to form Phare Band. 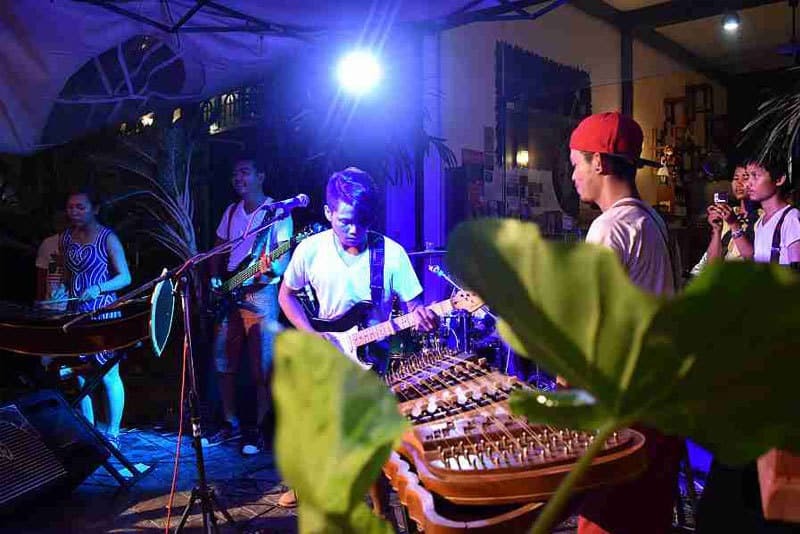 Their unique style of music inspired by Cambodian Rock & Roll from the 1960’s will liven any party. This photo was taken at a special “Rock The Street” community event held at The Little Red Fox Espresso. Visual artists from Phare, The Cambodian Circus and Phare Ponleu Selpak make painting come alive. Much more than just applying paint on a canvas, the artists tell stories with a live painting performance. This photo was taken at The Little Red Fox Espresso event – “An Artist’s Rain”. Photo by Peter Phoeng. 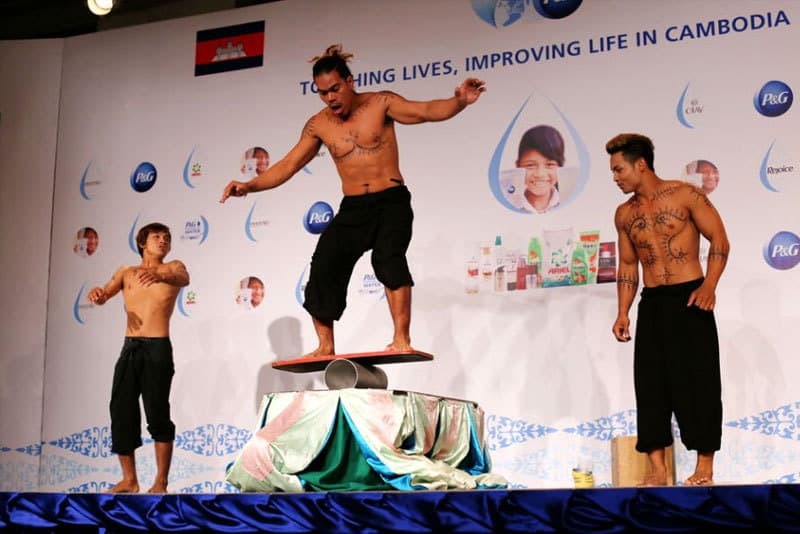 From the rice fields to the big time: Phare, The Cambodian Circus artists have gone international, taking the stage in Japan, Korea, Singapore, Thailand, France, the United States of America, Australia and more. Pictured here, Phare performs “Khmer Metal” in Oakland, California.